Could a customer be wrong? Or just uninformed? 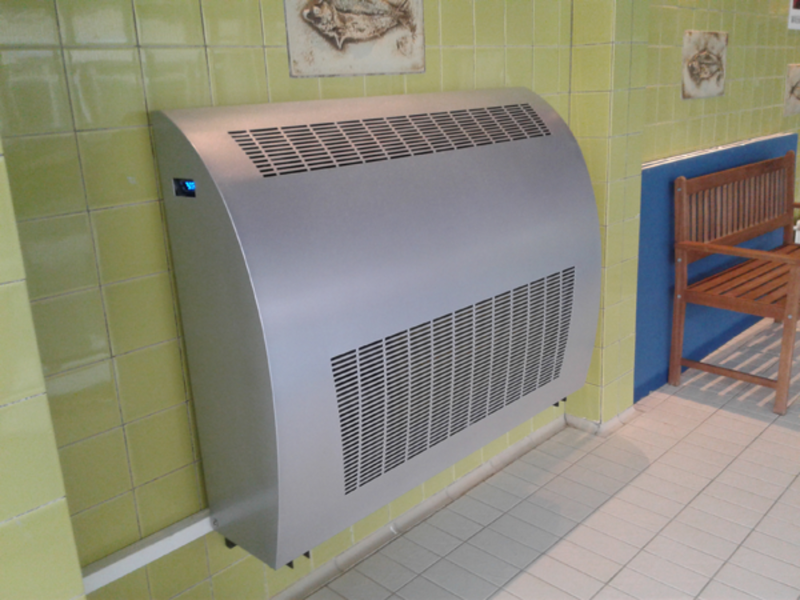 Every day, in Microwell, we process an enormous number of enquiries for swimming pool dehumidification or drying, if you will, and water heating or cooling via swimming pool heat pumps. We learnt to advise the customers to alter their desired pool preference to improve their bathing experience and save them money on equipment and operational costs. End customers and many times also installers have weak knowledge about basic laws that should be respected when it comes to a home swimming pool, hotel Jacuzzi or an outdoor pool. They base their will (enquiry) according to their best preference. We learnt to challenge this. Years prove with a continual increase in sales volume and new customers every day that we are right. Basic lapse is thinking that water temperature in your pool should be higher than the actual air temperature in your pool hall. Think of a cup of tea, or a coffee, if you like. Fresh it’s so hot that you can actually see the vapor coming out of the cup. This is because the room temperature is so much lower than the actual liquid’s temperature. You want your tea a bit colder than boiling, so that’s fine. But, you don’t want you pool to cool down and in the meantime to create enormous damp in you pool. Keep air temperature 2°C above the water temperature. You will need roughly half size dehumidifier (=less investment) and it will cost you much less to run it (= lower operational costs). Another false desire is not willing to have a water surface cover. Think of yourself in night, in your bed, without a blanket. Uncovered, your pool evaporates an enormous amount of water which as long as possible the air is absorbing. When air is ‘full of vapor’, the water starts to condensate on your walls, windows, bacteria and mould have their heaven and most important of all, you can’t even breathe in such environment. A swimming pool cover can reduce the actual evaporation by 30-50%. There are machines, dehumidifiers, which are designed to dry the pool even without a cover, but the price of the blue bubble plastic cover is a crumb in comparison to higher costs resulting from such dehumidifier and its running costs. Pool cover dramatically helps you save money on pool heating every day. Heat loss of an outdoor pool without a cover can be 3 times higher than covered pool. Again outdoor pool with cover means smaller heat pump, less running hours, eventually lower energy bill. Some customers believe it is essential to exchange the water in their pool during the coldest months of the year. You not only have to put an enormous amount of energy to heat the water back to your desire, you are doing that at conditions when your heat pump’s performance is limited by harsh ambient conditions. So should a reseller grant your wish, you end up buying double or triple size of the pump which will be used only fraction of a time during summer months. You get the water treatment system anyway, utilize it and exchange water when it’s at least 20°C outside. You will praise your wallet and the environment. When pool users respect few basic fundaments, they can save considerable amount of money on purchase of the equipment and its running costs.